South Korean prosecutors detained a former presidential aide on Nov. 2, Yonhap News Agency reported, the second person to be held in an influence-peddling scandal. 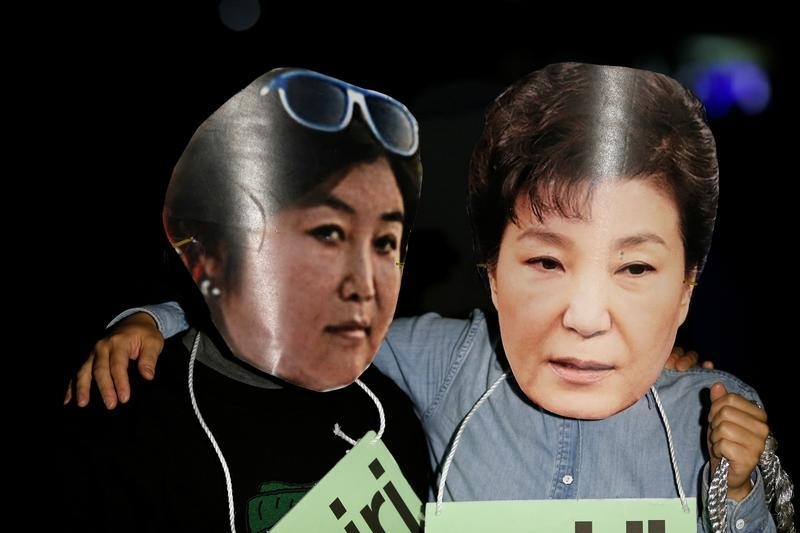 Prosecutors are investigating whether the adviser, Ahn Jong-beom, and Choi Soon-sil, a long-time friend of President Park Geun-hye, forced conglomerates to donate funds to non-profit foundations using their connections to the president. The same day, Park replaced her prime minister and finance minister, a reshuffle denounced by opponents as a bid to divert attention from a crisis that has pushed her approval rating to an all-time low. Financial Services Commission Chairman Yim Jong-yong was named finance minister and deputy prime minister, while Kim Byong-joon, a senior official under former president Roh Moo-hyun, will become prime minister. Prosecutors on Nov. 2 asked a court for a warrant to arrest Choi, and are seeking to charge her with abuse of power and attempted fraud, court and prosecution officials said. Choi told South Korea's Segye Ilbo newspaper last week that she received drafts of Park's speeches after Park's election victory but denied she had access to other official material, influenced state affairs or benefited financially. South Korea's won-dollar exchange rate and the country's benchmark stock index, the KOSPI, hit four-month lows on Nov. 2.